British and American women lost ground in gaining personal, civil, and legal rights in the last half of the nineteenth-century. This was a particularly surprising turn of events considering that women had made great strides towards gender equality in the early part of the century. What caused this surprising turn around? 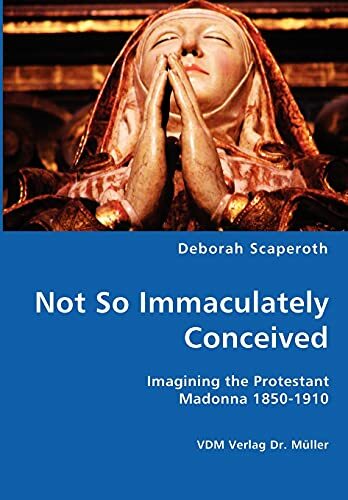 Not So Immaculately Conceived: Imagining the Protestant Madonna 1850-1910 explores the ways that religious language, popular culture, literature, and the media worked together to create consumer-driven images of women in a world destabilized by industrialization, secularization, and scientific discoveries. The central, unifying issue for the argument is the Immaculation Conception definition published in 1854 by the Catholic Church. In the first half of the book, Scaperoth examines works by Charles Dickens, Wilkie Collins, Charles Kingsley, Algernon Charles Swinburne, Robert Browning, John Ruskin, and the Pre-Raphaelites. In the second half, the focus shifts to the American writers Mark Twain, Henry James, and Henry Adams. The book has particular relevance today with its focus on the powerful way that media and religious groups often determine gender roles. Holds a doctorate in nineteenth-century British and American literature. She has taught at the University of Memphis, Columbus State Community College, Maryville College, the University of International Business and Economics, Beijing, China, and is currently a lecturer at the University of Tennessee, Knoxville.